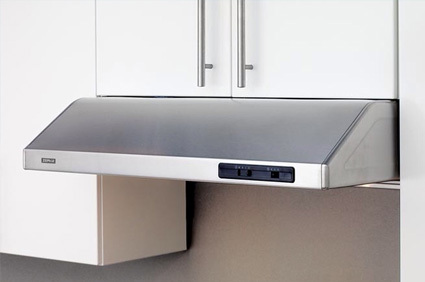 Having a kitchen exhaust fan can be a vitally important part of your kitchen. It can afford your kitchen and your entire home with numerous benefits and there are quite a few good reasons why you should make sure you have one installed. Choosing a good exhaust fan and installing it properly requires an electrician with the know-how to get the job done right. When you need exhaust fan installation, Handyman Electric, LLC is here to help. Our Spokane exhaust fan installation experts have the experience to ensure your exhaust fans are installed the right way and are operating as they should. So whether the motor on your current fan is making weird noises or perhaps it’s not working at all, you can count on our electricians to isolate a suitable replacement and have it installed quickly. We can also determine whether an exhaust fan that doesn’t work is the result of a greater electrical issue or if the problem can simply be fixed by replacing the exhaust fan with a newer model. If you need help with your exhaust fan, give the experts at Handyman Electric, LLC a call today at 509-993-0303. Our integrated approach to allows you to get exactly what you need for your home. Our electrical contractors work with you through the entire process. Our expertise and reliability is combined with cost-effective design and high quality workmanship to give you control over critical decisions by reviewing all the options available.